Patients rely on nurses to provide safe and quality care. The mass of tests, equipment, and medical jargon can be overwhelming to patients already bogged down with disease or injury, but nurses can help them navigate the healthcare system if they have the right skills and insight. The nursing community joined forces with the Institute of Medicine in its identification of a need for highly educated nurses who can take a collaborative approach to care. Nurses’ efforts are a vital part of the interprofessional team, yet patient outcomes depend largely on their education and training. In Maine and other states, the profession of nursing is experiencing rapid growth. The Bureau of Labor Statistics records that there are 2,955,200 registered nurses in the United States. At a projected growth rate of 15%, there will need to be an additional 438,100 professionals added to meet demands. With such a healthy outlook, its no wonder the profession is attracting a lot of interest. Most prospects choose to enter the profession through the associate degree for a fast and cost-effective route to practice, and while employment is strong, the standards for nurses’ education are changing. The Maine State Board of Nursing will authorize associate degree nurses to take the licensure exam and issue a license to practice to successful candidates. However, licensees may hit roadblocks as the industry sets up the Bachelor of Science in Nursing (BSN) as the standard for practice. In hospitals, clinics, and other healthcare facilities, employers have a strong preference for the BSN, especially in metropolitan areas. It is vital that nurses understand what employers want and make the changes for the success of their careers. The role of the BSN should be of particular interest for registered nurses as more hospitals are requiring the degree for their existing and new staff. One-third of the vacancies for registered nurses in Maine require a bachelor’s degree. Those who are already practicing should be well aware of the changing standards. Many employers are working with their experienced staff to support them in the acquisition of the BSN. RN to BSN programs have increased around the country as more colleges and universities roll out the program to facilitate academic progression. The program supports online instruction and simulation for convenience and cost-effectiveness for working nurses. Technology is today a vital part of healthcare as has contributed to the saving of countless lives and improved the quality of life for many more. Its benefits for patients have been widely published, but it has also changed the landscape of healthcare delivery through its impact on the medical process. Healthcare professionals, including nurses, must be versed with technological innovations to properly utilize Electronic Health Records (EHRs), communicate effectively with the healthcare team, access comprehensive research studies, and improve patient outcomes. Familiarity with technology begins in the RN to BSN program, which is delivered online to gives nurses the opportunity to pursue professional development without interrupting their work schedules. New associate degree graduate nurses can realize immediate benefits from enrolling in the RN to BSN program. While the existing shortage of nurses provides a gateway for ADN nurses to secure jobs in places that were once closed, the reality is that most employers want to hire nurses with a BSN degree. ADN graduates can improve their job outlook just by enrolling in the program. Many employers will hire and support nurses who are taking steps to improve their educational preparation. Experienced nurses will also benefit from the BSN in a number of ways. It will signal your commitment to safe and efficient care to employers and support your goals to become a nurse leader or pursue graduate study to prepare for the provision of specialized care. Nurses have a huge role in the adaptation and implementation of safe, patient-centered, timely, effective, and efficient care. The culture of safety at most hospitals demands a reduction in infections, lower mortality rates, and low readmission rates. The use of evidence-based care in practice improves the effectiveness of treatments and patient recovery. Positive patient engagement, communication with family members, accountability, and transparency promote patient satisfaction and outcomes. Nurses will discover that a thriving career is closely linked to their ability to deliver patient-centered care, which begins with a commitment to improving their skills and knowledge through lifelong learning. 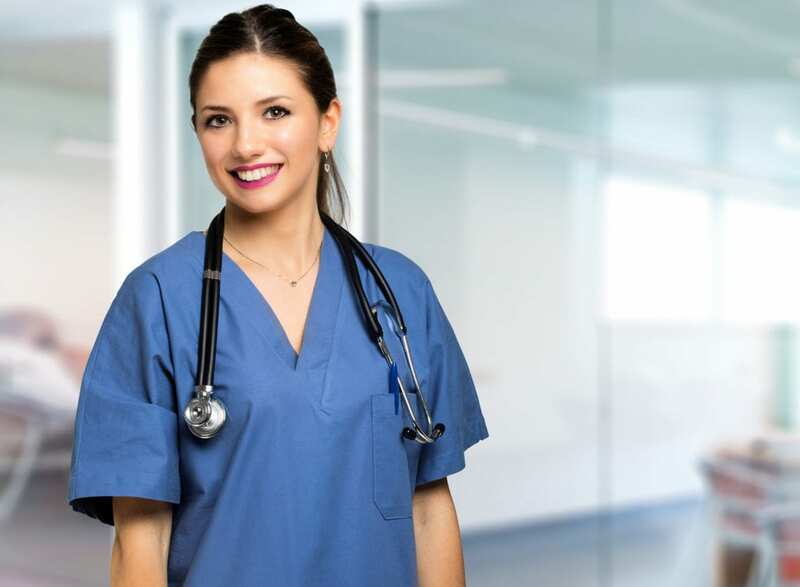 Several studies indicate that patients have a better chance of survival in hospitals with the concentration of BSN-prepared nurses exceed that of nurses prepared at the associate degree level. One study pointed out a 7 percent decrease in patient mortality just by having a staff where 10 percent holds a BSN degree. Successive studies throughout the last decade supported the initial studies. One paper published by Medical Care linked BSN care with lower mortality rates, shorter hospital stays, and a reduction in the cost of care. A study conducted by Mary A. Blegen found that hospitals that hired more BSN-prepared nurses had lower incidences of congestive heart failure mortality, postoperative deep vein thrombosis, pressure ulcers, and failure to rescue. Their patients also had faster discharges that other hospitals. There’s a substantial body of evidence to support employers’ preference for BSN nurses on their teams. Still, many more studies are in the works to connect a nurse’s education with the delivery of optimal patient care. While these are underway, employers and nursing associations encourage higher education for all nurses. The goal is to set the BSN as the standard for new nurses. New and existing nurses can meet employers’ requirements by enrolling in the RN to BSN to demonstrate their ability to provide patient care that exceeds the standards in nursing. The associate degree is the first step for employment as a registered nurse, but it will not generate many prospects in the long-term. The Magnet Recognition program routinely adapts its standards to match changes in healthcare. Magnet employers and those desirous of achieving the prestigious title require their existing staff to go back to school to improve health care delivery and health care outcomes. Nurse Managers, in particular, must have at least a BSN. Nurses performing in this capacity have no choice but to complete the BSN to retain their positions, which means finding that work-study balance and reexamining their finances to fund their education. Fortunately, the bridge RN to BSN eliminates duplication thus saving time and money. RNs will be pleasantly surprised that the curriculum will expand their skill set to make critical decisions in an instant, use research to produce better outcomes, understand health policy, and find new ways to improve the system at large. The BSN will broaden their opportunities, so much that many will leave nurse management to pursue new roles in care management, nursing informatics, quality control, and risk assessment – possibilities that were not open to an associate’s degree RN. The healthcare system needs more nurses with advanced education to fill roles in research, leadership, and nurse education. They will also address the need for primary care and specialized care to vulnerable populations. Foreseeing the direction of the industry, the Institute of Medicine proposed a doubling of the number of nurses holding a doctorate by 2020. More and more nurses are moving directly to master’s programs after obtaining the BSN degree. In many ways, the BSN gives them a reason and the confidence to do so. If you’ve identified a goal, you can use your BSN education to move forward and join the ranks of advanced practice nurses. It goes without saying that the master’s program will require a lot of personal sacrifices, commitment, and a close assessment of your strengths and weaknesses. The degree is essential for specific advanced practice roles, such as nurse practitioner, clinical nurse specialist, and nurse midwife. It is also an excellent way to differentiate yourself and enjoy a gratifying career in nursing. If your uncertain about the direction of your career and the distance you’re willing to go as far as it relates to nursing education, you can still have the peace of mind that the BSN will improve your prospects and come in handy if you do decide to go forward. 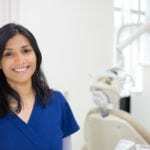 With the BSN you can improve your practice, get better jobs, keep your existing position, branch off into new areas, and help your patients achieve positive outcomes. These rewards are immeasurable. But it is important to highlight another key motivation for pursuing the degree. If you work hard and take on additional responsibilities, it is natural to expect your salary to match up. While there’s no guarantee that your existing employer will bump your salary after you graduate, there are other ways to get the compensation you deserve. Industry trends suggest that BSNs earn more than ADN-prepared nurses – as much as $18,500 more annually. If you decide to enroll in a graduate program, you can further boost your salary after securing a license to practice in an advanced nursing capacity. The median annual salary for nurse practitioners is $103,800, according to Salary.com. Therefore, the BSN offers the possibility of professional and financial rewards. The RN to BSN program is open to licensed RNs who have completed a diploma or associate degree in nursing. The flexible program meets students’ needs within the constraints of the degree requirements. The duration will depend on the number of credits transferred but requires a minimum of 18 months to complete the 128 credits for the degree. Credit may be available for prior experiential learning, industry certificates, and challenge exams. Upon graduation, you will receive a Bachelor of Science in Nursing and will have the knowledge and skills to advance in the field. Tuition for Maine residents at the University of Maine is $233 per credit. Financial aid is available to eligible students.